Perfect to while away the hours. The Cave swing on an aluminium frame comes complete with the all-weather cushions. Both the frame and canopy are graphite, with grey seat and scatter cushions. 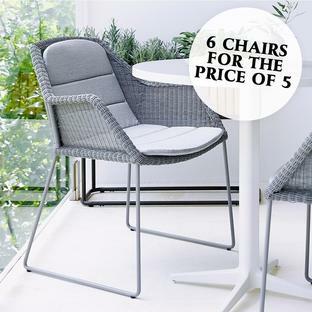 The cushions can be tied to the sofa with a strap, so when the swing sofa is not in use the cushions will stay in place. 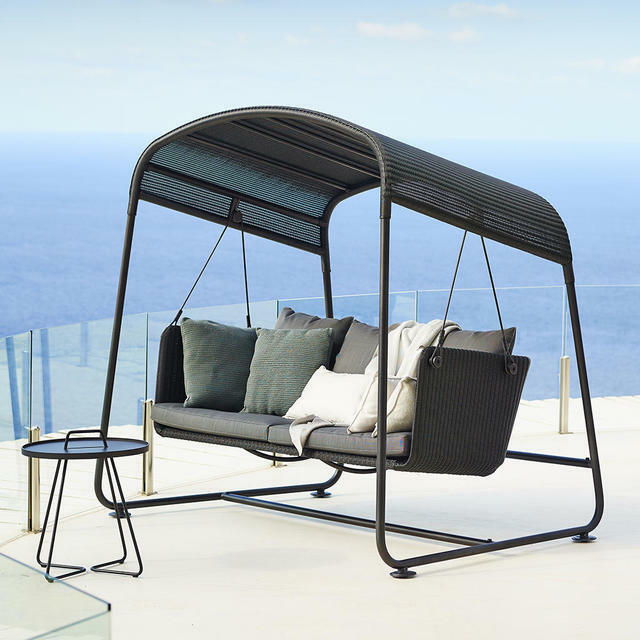 The roof and swing sofa is designed with wide contemporary Cane-line fibres which create a unique variation in the surfaces and allows for easy cleaning. Cave swing is tested to hold 300 kgs under normal use. 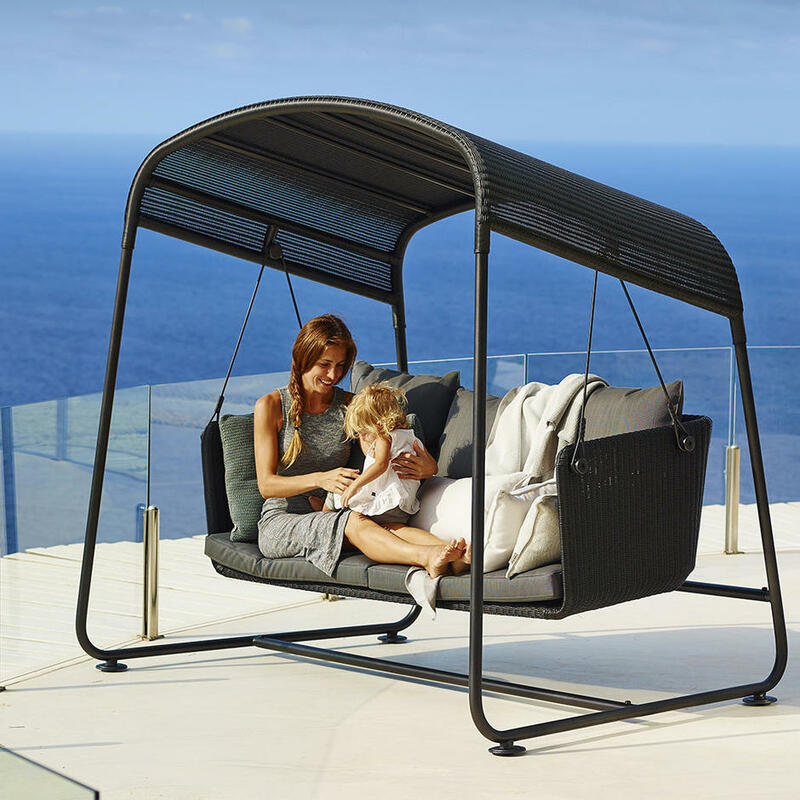 Please note that we recommend that small children are kept under supervision when using the Cave Swing Seat. 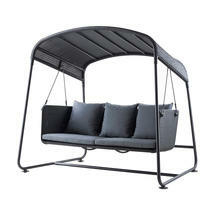 The Cave swing is made from all weather fabric so can stay outside in your outdoor space all year around. However, it is recommended to either mount it to a stable surface or place it in a location away from strong winds. 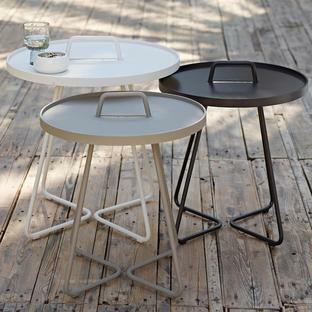 Team up with an On the Move side tables. 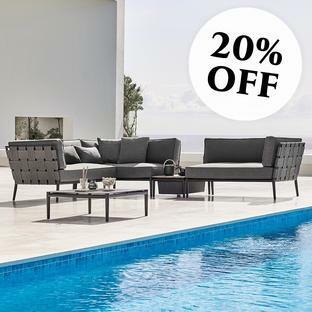 Cushions are made from weather proof, UV resistant fabric with QuickDry foam. Stand the cushion on its end to allow it to dry if it has been caught in the rain.